Mandarin is the standard Chinese dialect. It is based upon the northern dialects around Beijing. China has many different accents, dialects and languages, of which Cantonese is one. Cantonese is spoken in Guangdong province and Hong Kong. It is very different to Mandarin and is recognised as a separate language by the United Nations. Because the majority of overseas Chinese in the late nineteenth and early twentieth century originated from this area of China Cantonese was very influential internationally. In mainland China most educated people, particularly the younger generation, will speak good standard Mandarin. Amongst the older generation there are some people whose Mandarin is not very standard and they may speak with a strong regional accent. Being a foreigner it is extremely unlikely a Chinese person would try to speak to you in their local dialect, which will often be unintelligible to even other Chinese people. Mandarin has four tones, plus a fifth “non-tone”. In this respect Mandarin is much simpler than many of the Chinese dialects as all four tones are in different directions. First tone is constant, second tone is rising, third tone drops and then rises, and fourth tone drops sharply. Many people are put off by the idea of learning a tonal language but the reality is that it is not as complicated as it might first seem. Many foreigners who fail completely to differentiate the tones can still be understood by Chinese, albeit with much difficulty for the Chinese listener. The idea that foreigners cannot differentiate tones is seen as a source of amusement to Chinese, who will often jokingly drop the tones and mimic foreigners with bad Chinese pronunciation. This will sometimes be done by Chinese people when speaking to a foreigner, particularly if they think you cannot understand them. If you encounter this situation it should be taken light-heartedly. How many Chinese characters are there? There are tens of thousands of Chinese characters. However, the 1000 most common characters account for 80% of written Chinese. The 3000 most common account for 95%. Most literate Chinese people will recognise around 5000 – 6000 characters, many of which they will not be able to write. There are around 200 radicals, which are like jigsaw pieces that are re-arranged to make different characters. 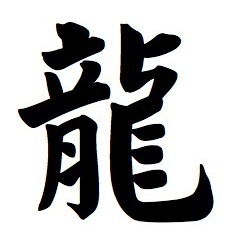 Chinese characters often contain a semantic radical, which indicates the meaning of the word, and a phonetic component, which indicates the pronunciation. What is the difference between traditional and simplified characters? Traditional characters are much more complicated than simplified characters. In an attempt to increase literacy rates the communist party began simplifying the Chinese script during the 1950s. As a result simplified characters are used in mainland China, whilst traditional characters are used in areas that were not part of the Peoples Republic of China, including Taiwan and Hong Kong. The Japanese writing system uses a combination of simplified and traditional Chinese characters, as well as characters that have been simplified differently to the Chinese simplified script. For a foreigner living and working in mainland China it is not necessary to learn traditional characters. What are pinyin and Wade-Giles? Wade-Giles was a system for rendering the Chinese language using the Latin alphabet. It was developed in the nineteenth century and was common throughout the western world until the 1970s. Pinyin was a new system established in mainland China as part of the attempt to increase literacy during the 1950s. Pinyin has since become the accepted international standard, but Wade-Giles can sometimes still be seen, most commonly when writing the names of places and people. Pinyin is not used for reading or writing Chinese and cannot be used as a substitute for learning Chinese characters. It is most commonly used as a reference for how to pronounce a word, such as in dictionary entries, or for writing Chinese names in English. The writing system looks difficult, is it possible for me to just learn to speak? Many foreigners have learned to speak Chinese without reading or writing. However, this is actually in many ways much harder, as the best Chinese textbooks and language learning resources all assume the learner is also learning to read Chinese characters. Also, when the learner reaches intermediate level it is much easier to learn spoken phrases, make friends and practice Chinese by using social networking sites. Advanced vocabulary is also most easily acquired by reading news articles and internet sites in Chinese. Anyone wanting to seriously learn Chinese to intermediate level or above should learn to read and write. Will I be able to just pick Chinese up by living in China? No. To reach any practical level you need to spend time studying. Some people are more naturally adept at learning languages than others, and many people have self-taught to advanced level. However, there is no substitute for study, whether it be formal study or self-study, and there are many foreigners who have lived in China for years without learning more than a few words. How much Chinese can I learn in a year and how long will it take to become fluent? Some people are naturally more adept than others, and if you have already learnt a second language it will be easier to learn a third or fourth. With intense study it is possible to reach basic conversation within a few months. Advanced Chinese will usually take two to three years. The more you study the more you will learn. I was able to pass the HSK level 6 exam in just under three years of self study whilst working as an English teacher. The HSK exam is the formal exam for foreign speakers of Chinese in mainland China. HSK proficiency is usually required when applying for post-graduate study in China, or for proving Chinese proficiency to an employer. There are six levels, one being the lowest and six the highest. The “old HSK” was based on a different system and is now no longer used, however some people who took the HSK many years ago may refer to an HSK level above six. The new HSK level six is roughly equivalent to the old HSK level 9.